The APT Taiwan 2019 is scheduled from February 20 to March 3 at the Chinese Texas Holdem Poker Association, Taipei, Taiwan. 13:00 Dream Maker 5% Payout Final Day NEW! Multiple re-entry allowed before the close of registration. A player's hand will be killed immediately after the time on the Shot Clock has expired and the player is out of Time Bank buttons. The "ANTE BB" format utilizes the ante first before big blind in the event the big blind cannot cover the full amount for the ANTE and BB. The "ANTE BB" structure remains the same regardless number of the number of players at a table. 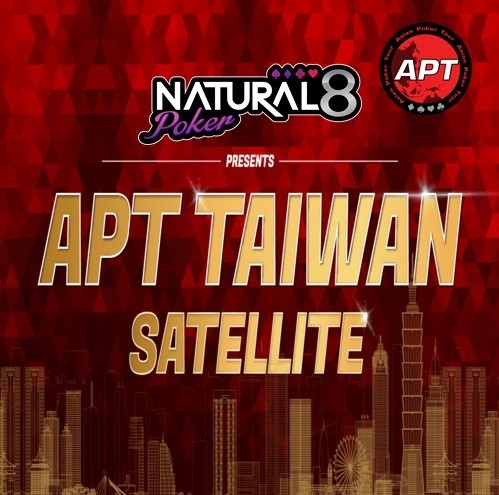 Natural8.com is proud to present the APT Taiwan Satellite! 3 satellites will run on 3 Sundays of February wherein players have a chance to win a guaranteed seat to APT Taiwan worth $1,100. All players are required to register for the Chinese Texas Holdem Poker Association Membership to be able to participate in any APT event at the Pro Poker Club. Just look for the club membership counter before entering the poker tournament area. Present a valid ID to apply for the Membership Card. For those with Membership Cards, please ensure that your card is valid. Show your valid Membership Card to the APT Registration Staff and inform them of the particular tournament/s you would like to join. You will then be issued the Tournament Receipts which will be paid and verified at the Cashier. 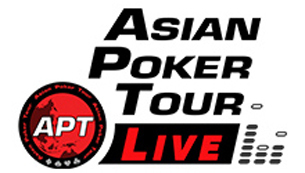 Results of the APT Taiwan 2019 will be posted on our Events & Results page.